The first meeting between the curators Philippe Pirotte, Bonaventure Soh Bejeng Ndikung, and Christina Lehnert, and the artists Leo Asemota and Nástio Mosquito became the starting point for the exhibition. The conversation, taking place in spring 2018, began with an Ulonga, an Angolan tradition in which one recounts what one has experienced, thought, and felt since the last encounter. 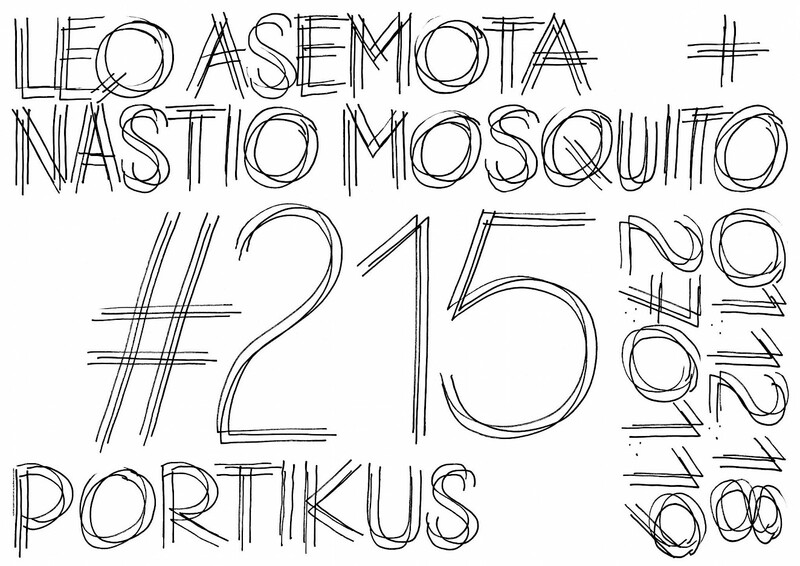 #215 is the first exhibition that the artists Leo Asemota and Nástio Mosquito have worked on together. It includes works by the artists that were developed specifically for the exhibition. Conversation forms, like the dialogue and monologue as well as interaction, characterize the form of their collaboration. As an institution and subsequently a public space, the works and installations transform Portikus into a site, where encounters, privacy, manifestation, and thought all coexist. Ausstellungsdauer: 1. Dezember 2018 – 27. Januar 2019.